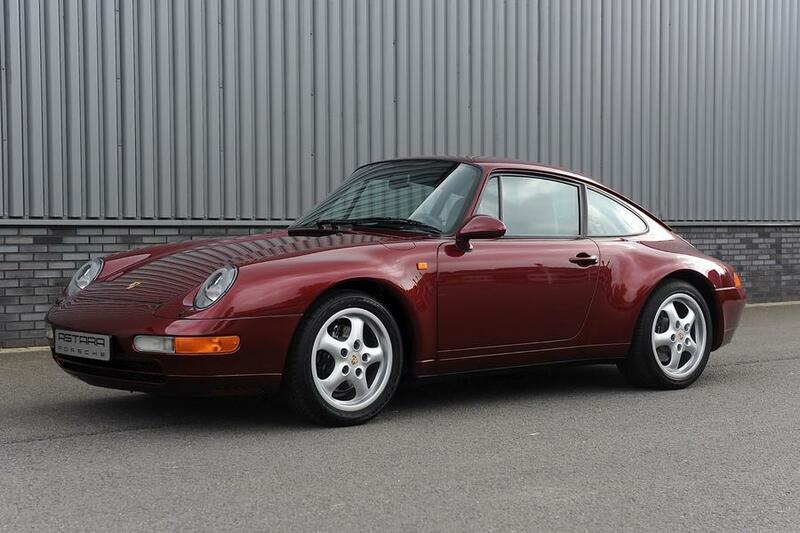 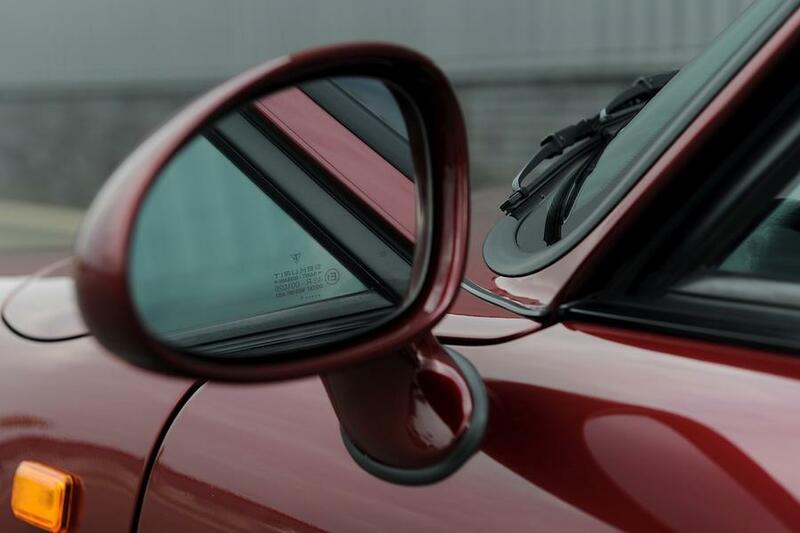 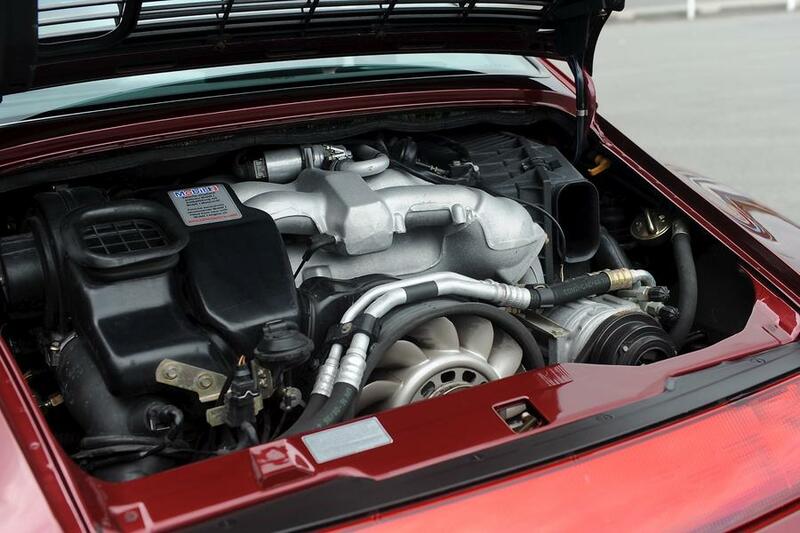 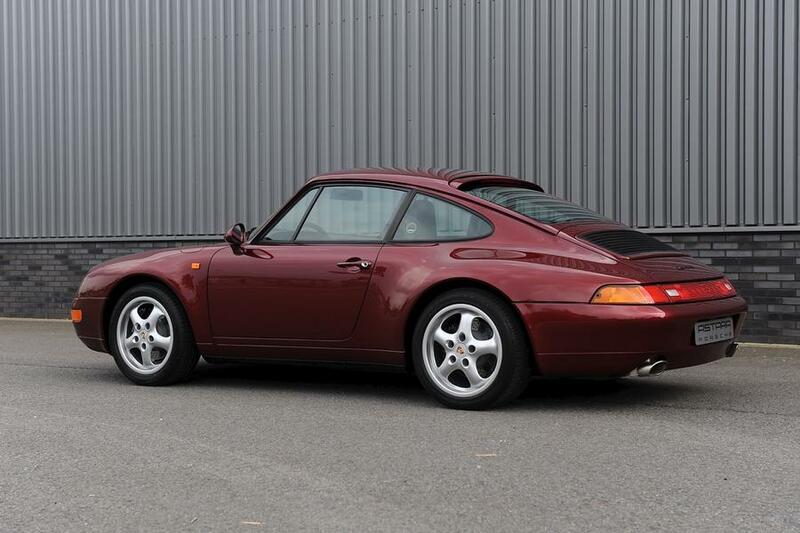 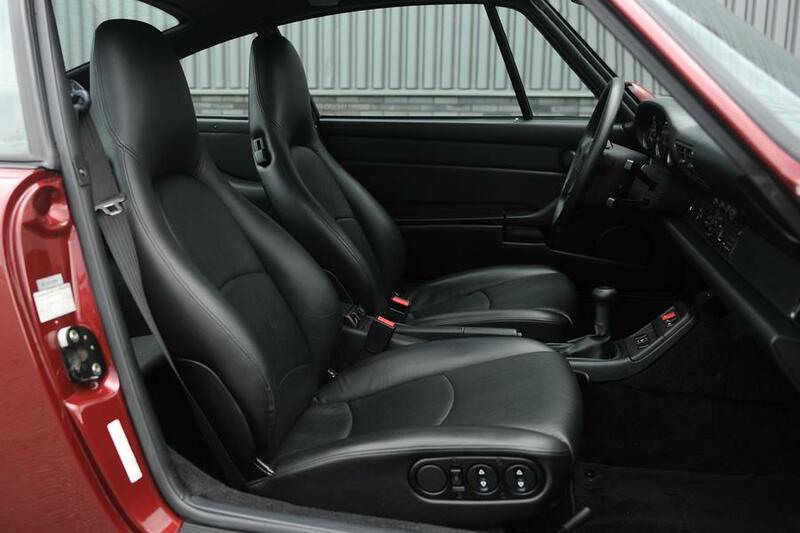 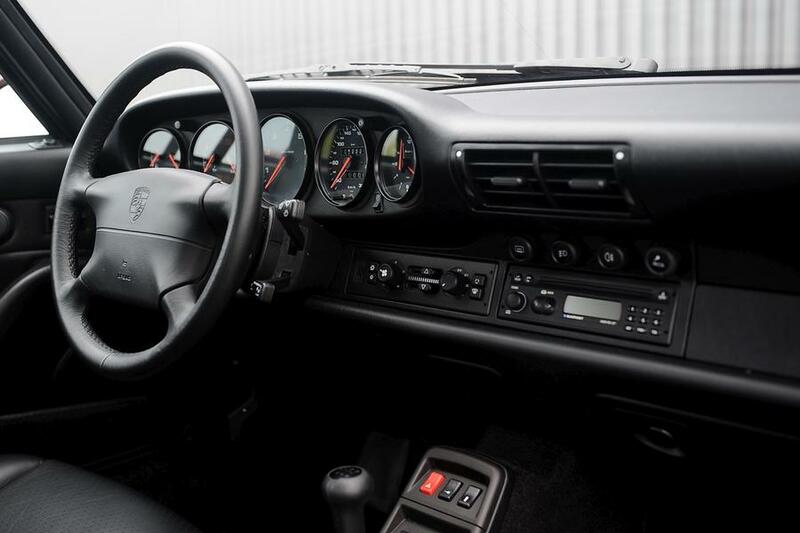 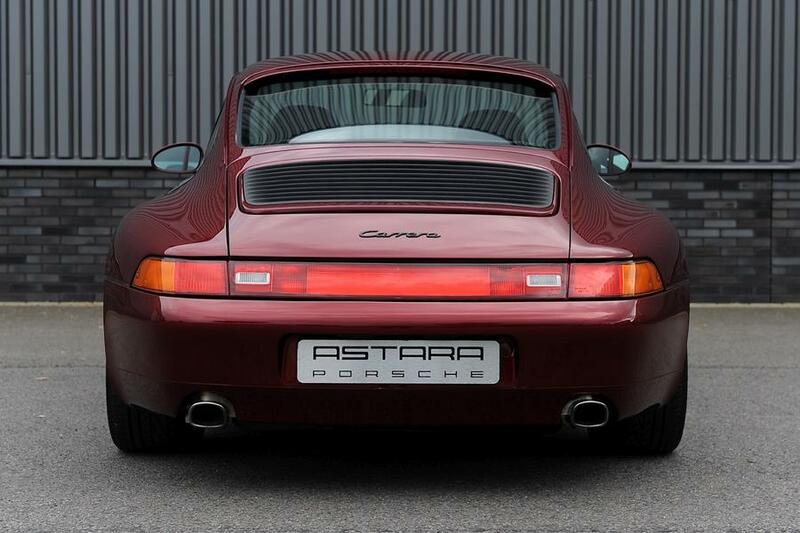 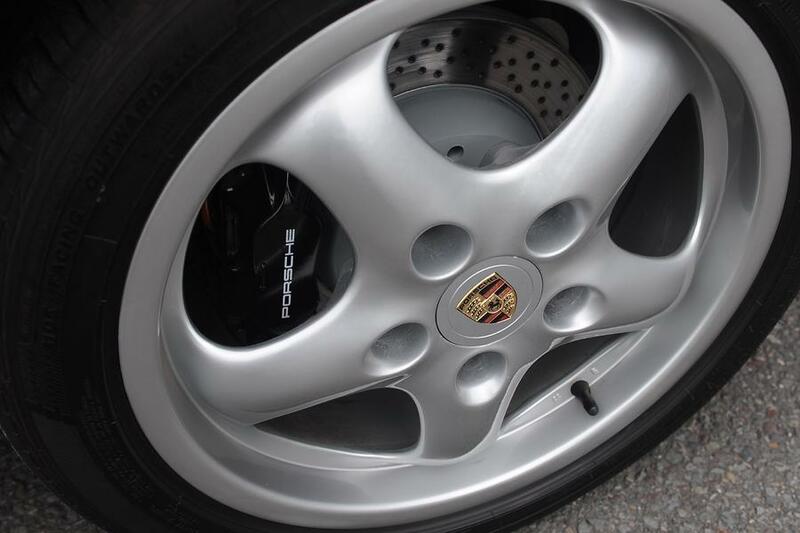 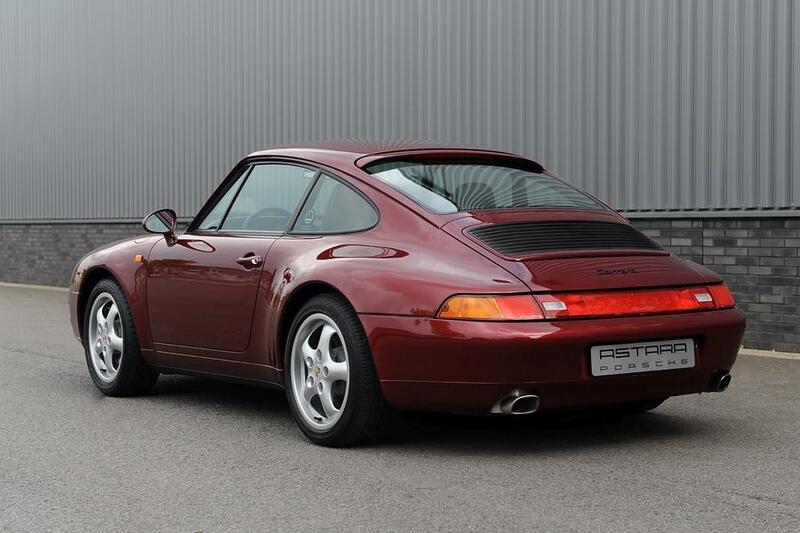 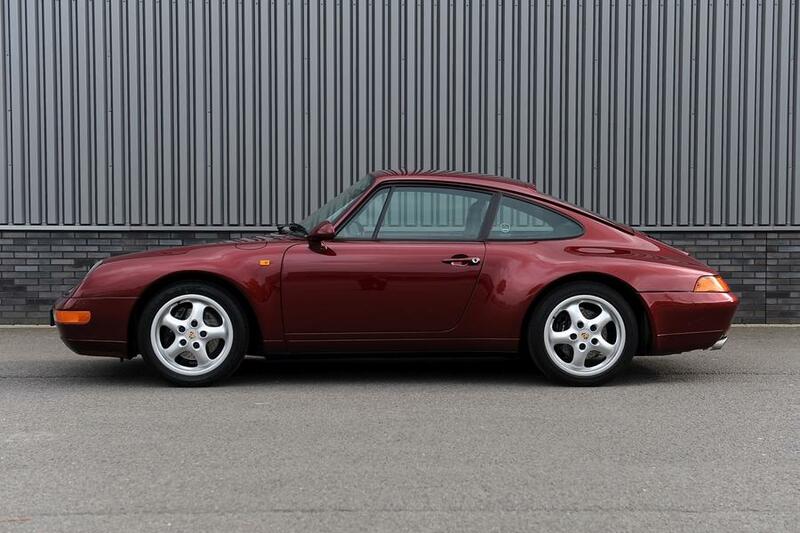 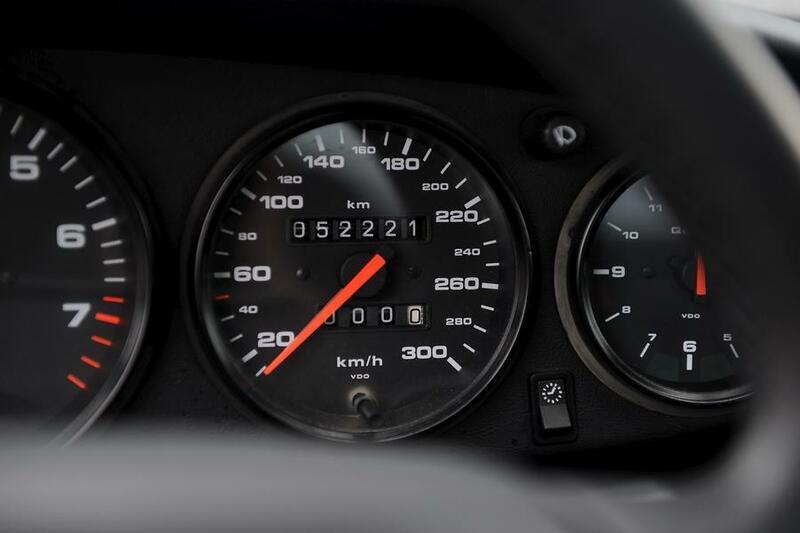 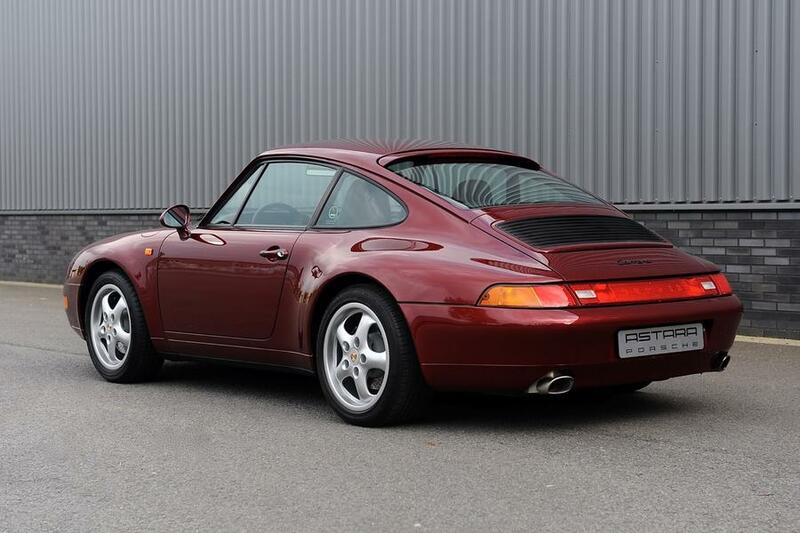 Porsche 993 C2 Coupe in new condition with exceptionally low mileage. 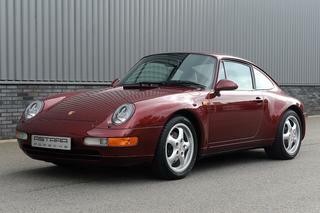 Classic arena red metallic with black leather interior. 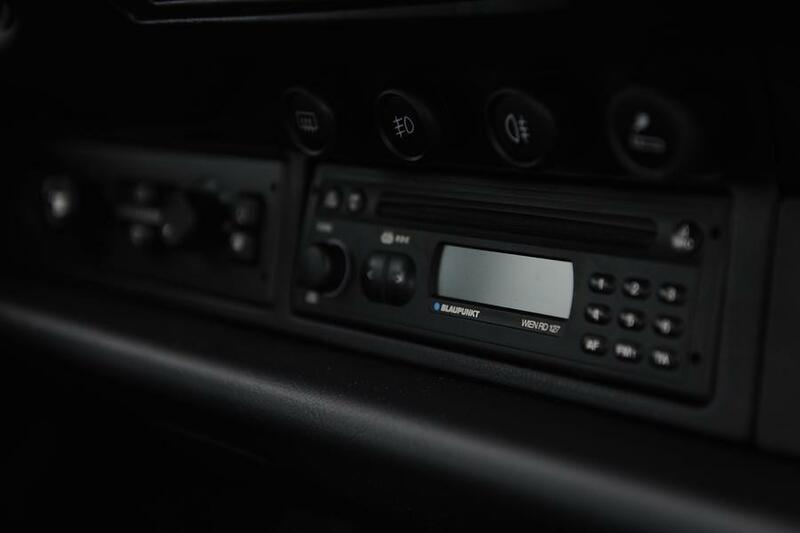 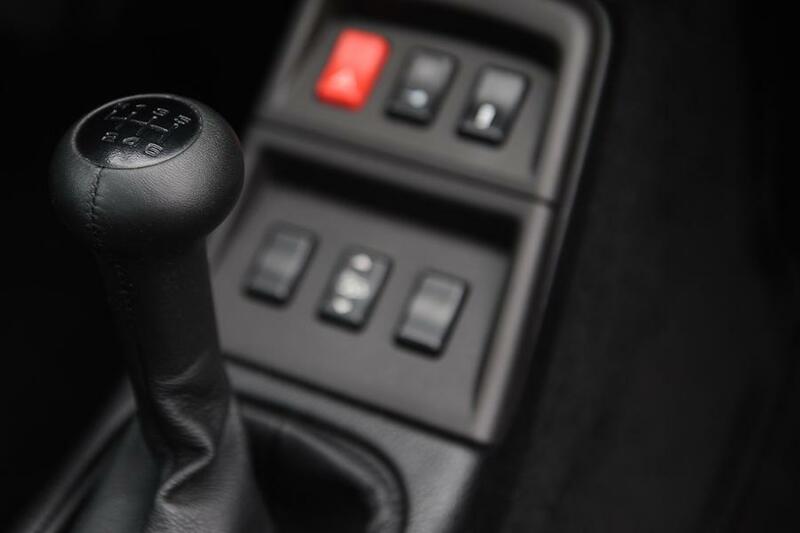 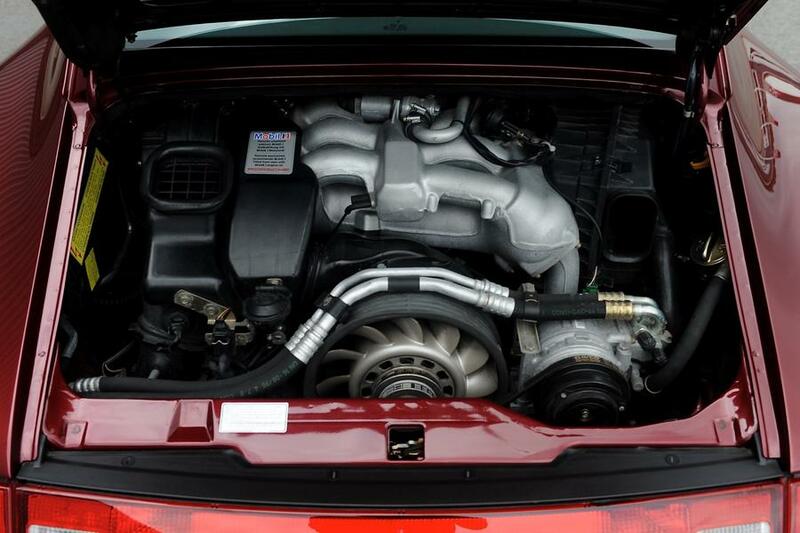 At the car we present a very well documented history on the maintenance and previous owners.